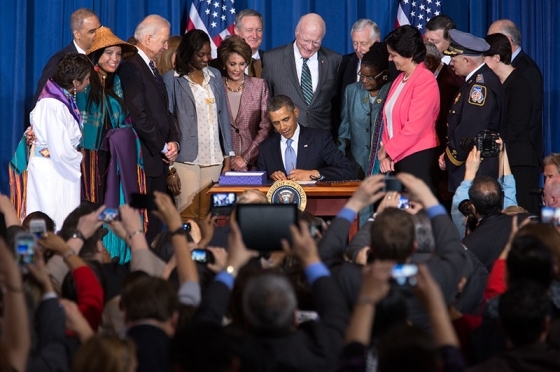 While looking at the above photo from the news today of the signing of the Violence Against Women Act, I noticed a woman wearing a woven cedar hat much like those woven at the Lummi Nation -- a few miles from where I live. "The President's legacy with Native people will ultimately be determined by how he deals with the environment, climate change and Keystone XL. Why? 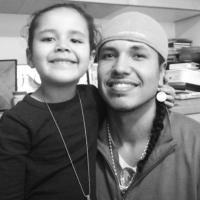 We're the stewards of this land -- we cannot "go back to where we came from." We come from right here. Some, that do not understand Native people's relationship to the land, will argue "there are no federally protected sacred sites affected!" Those folks just don't get it -- it's not just the few places that the government determines are "sacred" that we're concerned about. No, all of this land is sacred and is not supposed to be ripped apart for a few coins. Soon, after the euphoria of winning the VAWA war wears off, we'll realize that the Obama Administration snuck a fast one past us--the day after VAWA passed!" Please read the entire article for context. We can celebrate the signing of the VAWA and International Women's Day and not forget the problem of violence against Mother Earth. Yes. All of this land is sacred. I don't know what has to happen before we are willing to face the implications of that: how long we can stand at the slot machine jacking the handle while the casino burns around us. Maybe clear to the end, I don't know. her speech is a brave one, indeed. it is a very good thing she could harness her experiences and turn them into helping others like her. I love Dale's comment. And tend to agree with his sad conclusion.